Once again this is a ridiculously easy project and a cheap one too. 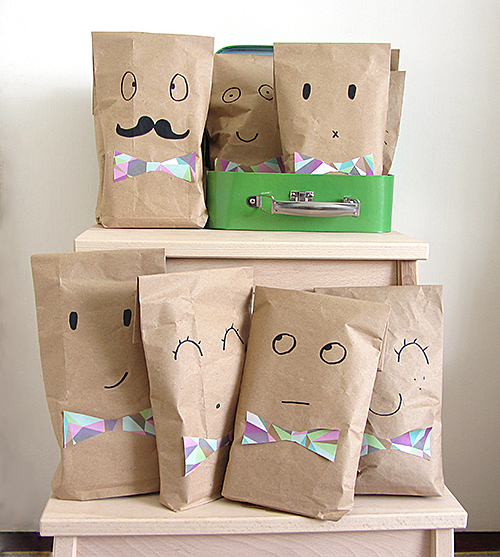 Bags can be made any size as long as you have enough paper. They could all have the same face or a different one as we did here. And why not using a different pattern paper for each bow tie? I also think they could be made even funnier looking with some paper or fibre hair. Here is how I made mines. 1 – Fold the width so edges are gathered and overlap and the overall width match the desired size (here: 15 cm). Stick in place with double sided tape. 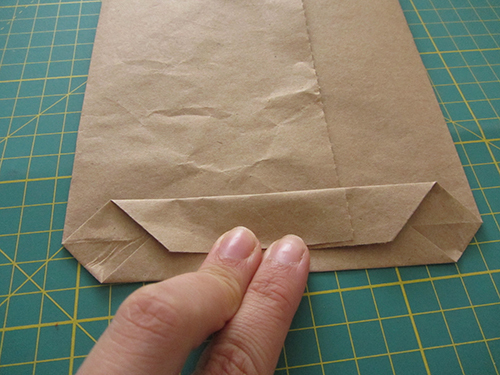 2 – Make a 3 cm fold at the bottom of the bag and make sure to mark the fold. 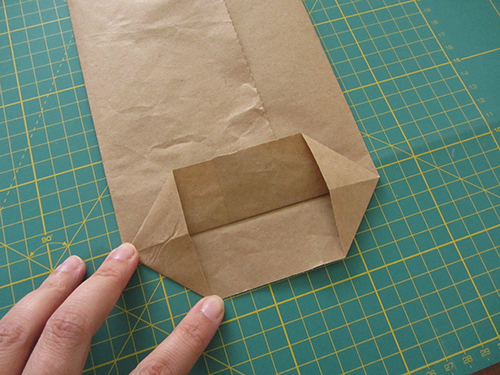 3 – Then open flat the smallest part made by the fold by folding the side toward the inner of the bag. 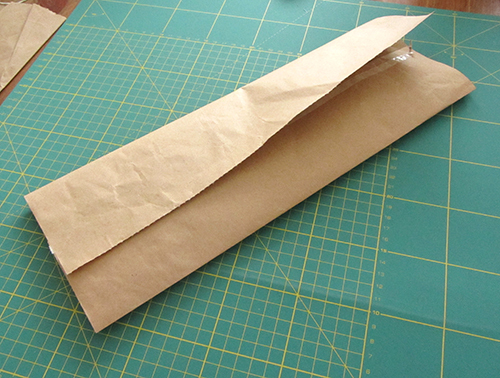 4 – Fold the bottom flap so it overlaps slightly the bottom fold line and stick in place. 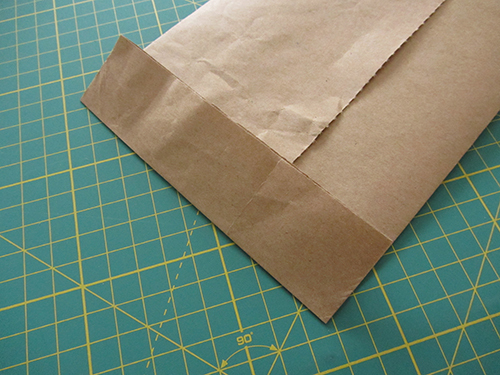 5 – Fold the top flap in the same way. Stick into place. 6 – Draw face details with a black marker. 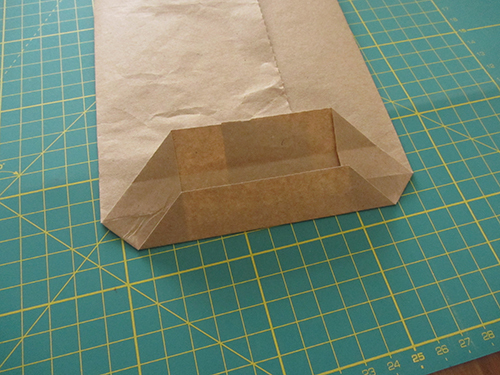 Cut out a bow tie shape from the pattern paper and glue towards the bottom of the bag. 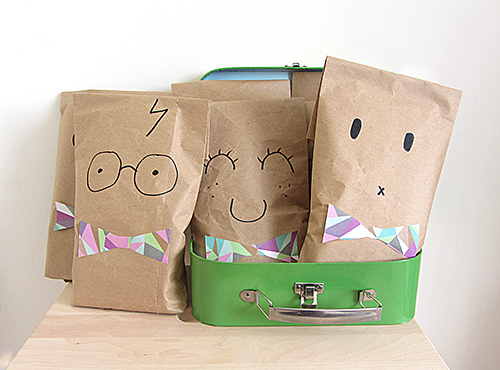 You can now fill the bag and close it with a piece of washi tape or any other fancy sticky tape. Finally I want to say a big thank you to my daughter who helped out once again with the photography. She had the idea of staging the bags as for a school picture, kind of a genius isn’t she?